Santorini launches campaign to stop tourists riding donkeys. 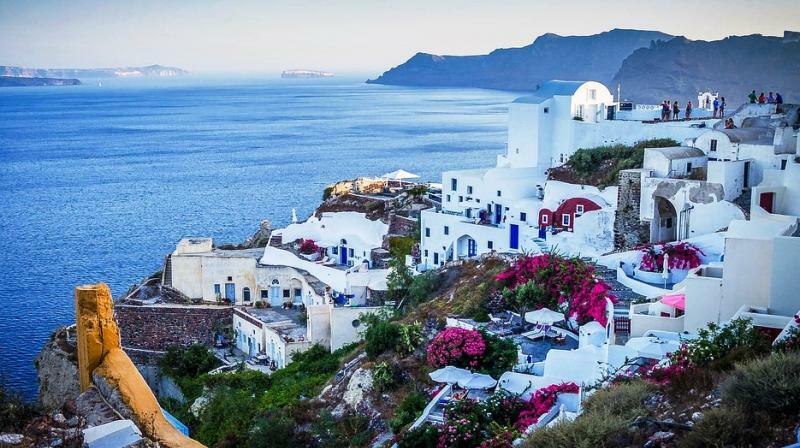 Greece: Santorini’s grubby little secret has been ousted by ‘In Their Hooves’ campaign, and other activists, working in collaboration with the cruise-line industry. For several years now, donkeys have been used to ferry tourists up and down the 520 cobbled steps in Santorini. The donkeys are made to take four or five return journeys in a day in the scorching Greek sun. The plight of the donkeys have been long ignored, and thus there has been a rise in spinal injuries, saddle sores and exhaustion, reported the DailyMail. “The campaign is about to start,” Nikos Zorzos, the island’s mayor told The Guardian. “Representatives from the campaign have promised to raise awareness and from our side we will be distributing information leaflets. Our mules and donkeys are part of our tradition. Younger owners, especially, have understood that they need to be looked after,” he said. The animals were used to take travellers from the port in Santorini to the main settlement. But when cable cars were introduced to the island, the use of donkeys decreased. But the demands increased again when a nearby volcano started attracting hoards of tourists. The donkeys have a less than ideal working condition. The animals walk up till the summit, drop off riders and immediately begin their descent, often bumping into walkers near steep drops. In Their Hooves campaign, launched by The Donkey Sanctuary, is taking efforts to make tourists aware of the plight of the animals. “The campaign aims to encourage tourists to stop and think before using donkey taxis to climb the steep steps at Fira port,' said Catherine Rice, PR officer at The Donkey Sanctuary. In solidarity with the campaign, several cruise liners signed up for it. They will be screening an animated video on board, made by the British animal welfare charity. “Asking our guests to put themselves 'In their Hooves' is an important part of our destination sustainability plan for the island,” said Maria Deligianni, representative of the Cruise Lines International Association.